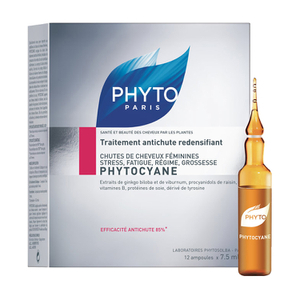 An original blend of 100% essential oils selected for their stimulating properties, Phytopolleine easily penetrates the scalp to encourage growth and vitality. It normalizes the seborrheic flow to improve cases of dry or oily scalp and restores the nutritive elements the scalp needs to maintain a healthy balance. Tones the scalp and stimulates microcirculation. Eucalyptus and Lemon oils purify the scalp. Corn oil extract soothes with a cooling sensation. Recommended for weak, anemic hair, scalp imbalance and/or itchiness and irritation from product build up. Apply once or twice a week to scalp on dry hair, at least half an hour before shampooing. For maximum effect, apply and leave overnight or apply before exercising. Zea Mays (Corn) Germ Oil (Huile De Germes De Maïs), Citrus Medica Limonum (Lemon) Peel Oil (Citron), Limonene, Rosmarinus Officinalis (Rosemary) Leaf Oil (Romarin), Salvia Officinalis (Sage) Oil (Sauge), Cupressus Sempervirens Oil (Cyprès), Melaleuca Leucadendron Cajaput Oil(Cajeput), Fragrance / Parfum, Linalool, Citral, Eugenol, Geraniol, Coumarin. I use this product for years. 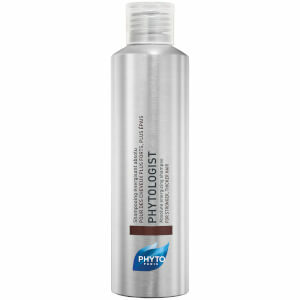 Very good to foundation for healthy scalp that is prerequisite for healthy and beautiful hair. The only con - is a dispenser. It takes time to get few drops out of the bottle. But the results worse the effort. 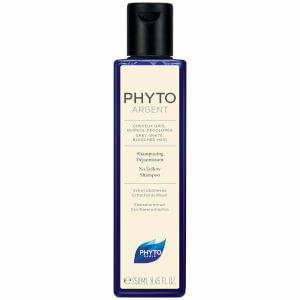 I like the product which really helped relieve the itchiness of my scalp.The smell may not be the most pleasant but hey it's Phyto.